Information: Jean Callander Milligan, co-founder of the Royal Scottish Country Dance Society and author of books about Scottish Country Dance. The birth of the Royal Scottish Country Dance Society (SCDS) came as the result of a meeting advertised in the Glasgow Herald on November 26, 1923, that urged all who were interested in Scottish Country Dance to attend. The SCDS determined to recreate, if possible, a real interest in Scottish dancing in its best form. Luckily, there were still many older people still living who knew how the dances should be done. These people provided accurate information about many dances and techniques. The first book was published by Miss Jean Callander Milligan and Mrs Ysobel Stewart and contained detailed written instructions for those dances. The few dances that appeared regularly on programs were often an excuse for rowdy behavior. Miss Milligan always insisted that gaiety and a happy spirit were equally desirable and to this end often spoke of dancing with "controlled abandon." To ensure the standards already established by Miss Milligan, an examination for a teaching certificate was established. As the need for more and more teachers became apparent throughout the world, Miss Milligan and co-examiners started conducting these exms overseas. 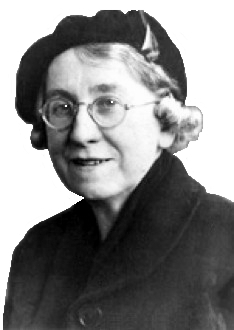 Miss Milligan taught general classes, prepared candidates for exams, and conducted examinations. Her passion for teaching was equalled by her pssion for Scottish country dancing and she decided to retire earlier than necessary from her position at Jordanhill College so she could spend more of her energies with her dancers around the world. In 1973, Miss Milligan was voted "Scotswoman of the Year." Aberdeen University conferred an Honorary Doctor of Law on her in 1977. Her sense of humor, her twinkling eyes, teaching genius, strength of character, and total dedication to the art of Scottish Country Dancing made her seem immortal. Miss Milligan passed away in 1978. Dances of Scotland. Milligan, Jean C., and MacLennan, D.G.. London: Parrish, 1950; New York: Chanticleer, 1951. 99 More Scottish Country Dances. Milligan, Jean C. Glasgow & London: Collins, 1963. 124p. Instructions and diagrams for 101 Scottish Country Dances, in pocket book size. 101 Scottish Country Dances. Milligan, Jean C. Glasgow & London: Collins, 1957. 154p. Instructions and diagrams for 101 Scottish Country Dances, in pocket book size. Won't You Join the Dance? A Manual of Scottish Country Dancing. Milligan, Jean C. London: Paterson's, n.d. A teachers manual for Scottish Country Dance.